I work with the rest of the laboratory staff to assure the accuracy of the tests performed in the hospital's laboratories. We provide our patients with all of the laboratory tests they need. These tests help us diagnose and stage cancer, plan treatments, monitor the disease and how treatments are working, and evaluate patients’ health. 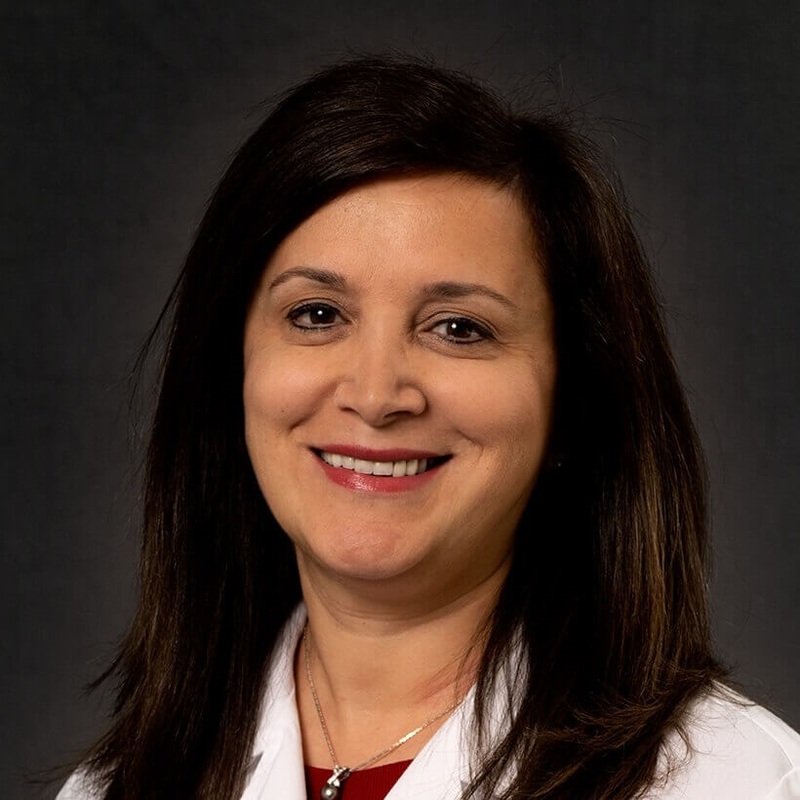 Since January 2003, Dr. Elham Abboud has served as Assistant Medical Director of Pathology and Laboratory Medicine at Cancer Treatment Centers of America ® (CTCA), Chicago. She works closely with our medical oncologists to personalize cancer treatment. The information she provides helps each patient’s oncologist recommend the most appropriate and individualized cancer treatments. A Diplomate of the American Board of Pathology, Dr. Abboud earned a medical degree from Damascus University School of Medicine in Damascus, Syria. She completed a residency in anatomic and clinical pathology at the University of Illinois at Chicago. Prior to CTCA®, Dr. Abboud served as Director of the Hematology Lab at Mount Sinai Health Systems in Chicago. For more than decade, Dr. Abboud has also been a clinical assistant professor at Rosalind Franklin University of Medicine and Science (Chicago Medical School) in North Chicago, Illinois. She has been published medical journals such as the American Journal of the Medical Sciences, Archives of Pathology & Laboratory Medicine and the Journal of Urologic Pathology. Dr. Abboud is a member of the College of American Pathologists, the American Society for Clinical Pathology, the Illinois Registry of Anatomic Pathology and Illinois Society of Pathologists. She is also Chairperson of the Cancer Committee at our Chicago hospital.